This project involved a brand new installation of white quartzite countertop with pitting that the fabricator tried to repair using glue. You can tell by these pictures the affected area is dull and the pits are apparent. We gently pulled off the glue, which caused more pitting. We then had to fill the pits of the stone and hone the surface three times to achieve a uniform look. 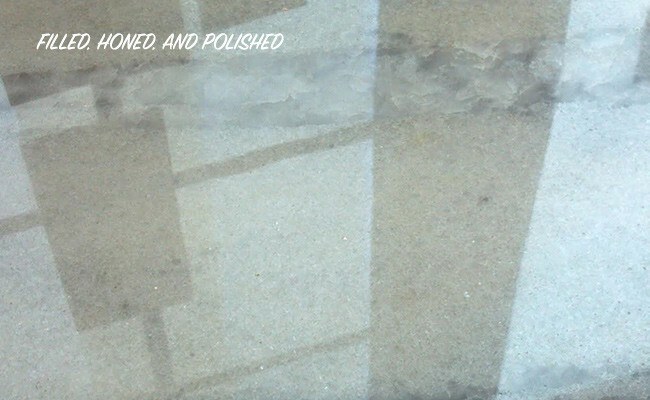 Because the stone was soft we had to use a number of abrasive and polishing steps to achieve the desired shine. 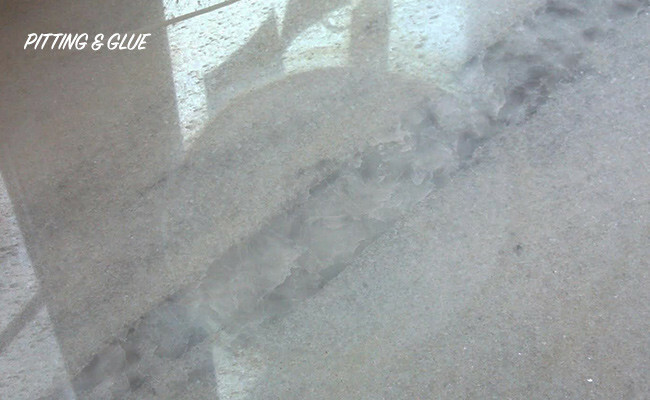 Our customer was very happy with the end result and our processes left the stone with a factory finish. 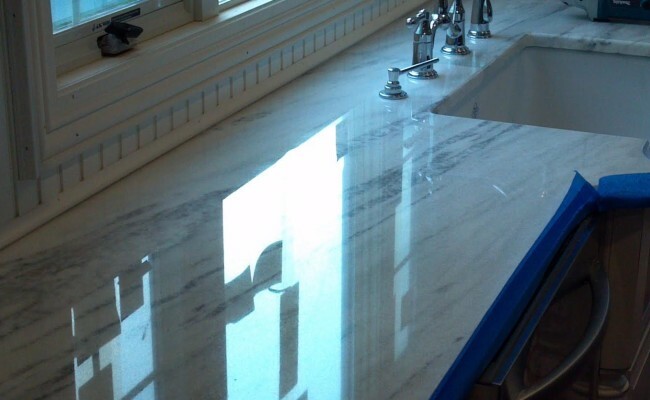 For a free estimate on quartzite cleaning, sealing, polishing, repair, restoration, and refinishing in NJ, NY, and CT, contact us online or call (888) 400-4302 today.